Another sleek and elegant electric vehicle will soon hit our busy streets. Aptera is now announcing their pre production model for the Aptera 2e. 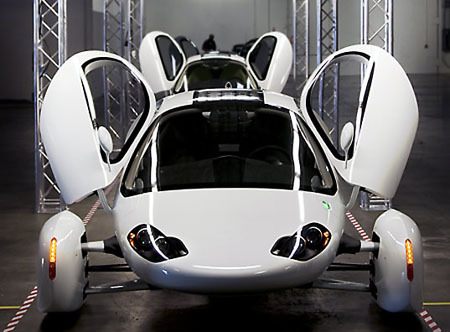 This eco friendly sleek vehicle proudly features an incredibly strong aerodynamic body, a lithium based battery, front wheel drive and an improved door design that made the Aptera 2e sleeker and elegant that will probably dominate the streets by October of 2009. 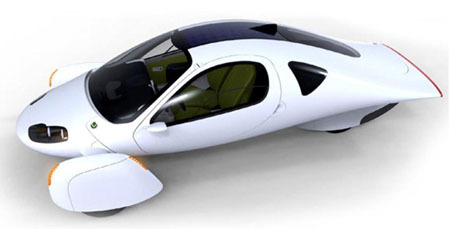 I am sure that users would be happy with the Aptera’s maximum speed of 90mph and a 100miles travel in one single full charge, and with its expected cost of $25,000 to $45,000, this will surely be a hit car in the future.